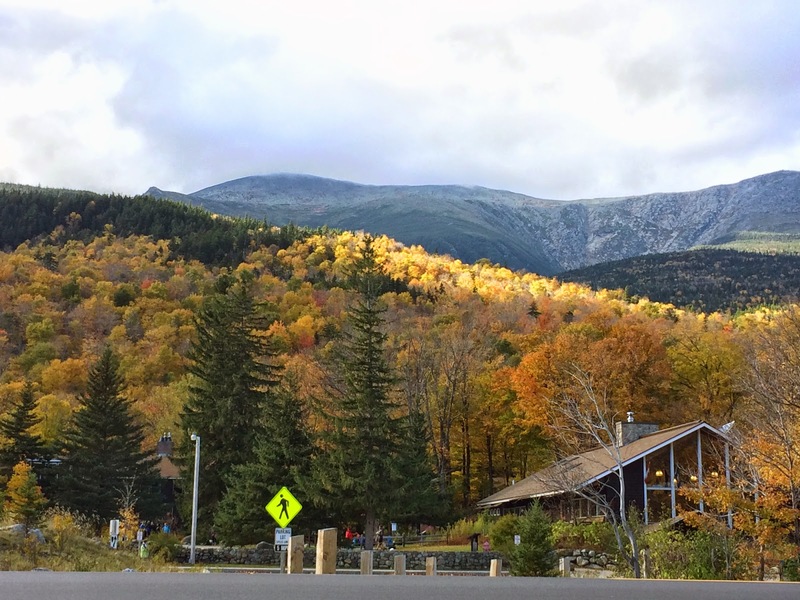 It's been a spectacular season for leaf peepers in northern New England. 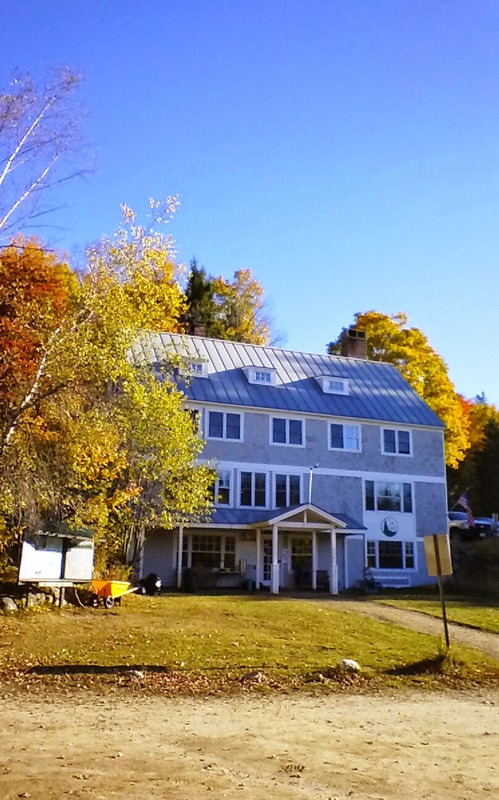 Bright reds, oranges, and yellows have dotted the landscapes around AMC's lodges and huts in New Hampshire and Maine. 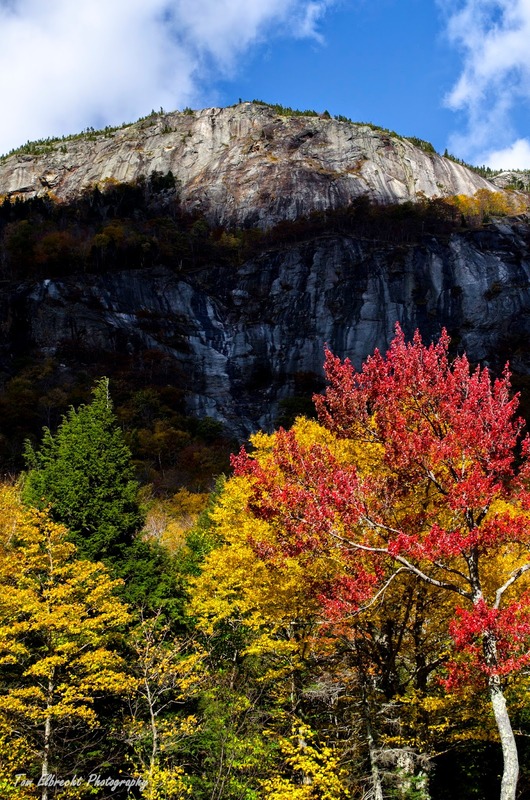 And with a long weekend on tap, pro photographer and Yankee Foliage reporter Jim Salge says you're in for plenty of color throughout New England, wherever you choose to go. "For those less picky about finding the brightest of colors, this should be a spectacular weekend to be out and about just about anywhere in New England. Even if the color isn’t at the primest of peak, there is lots of good color, and lots of activities to enjoy while taking it in." 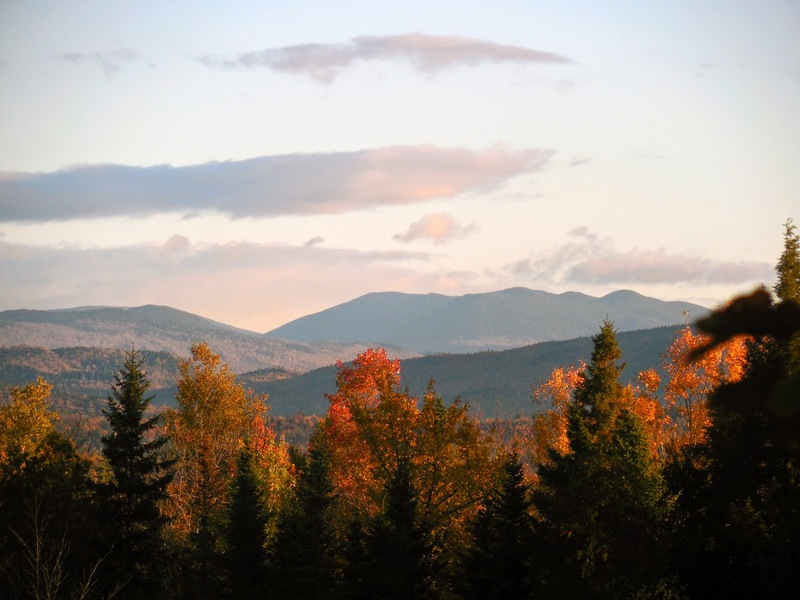 Enjoy this round up of foliage shots and we'll see you on the trails! Mt. 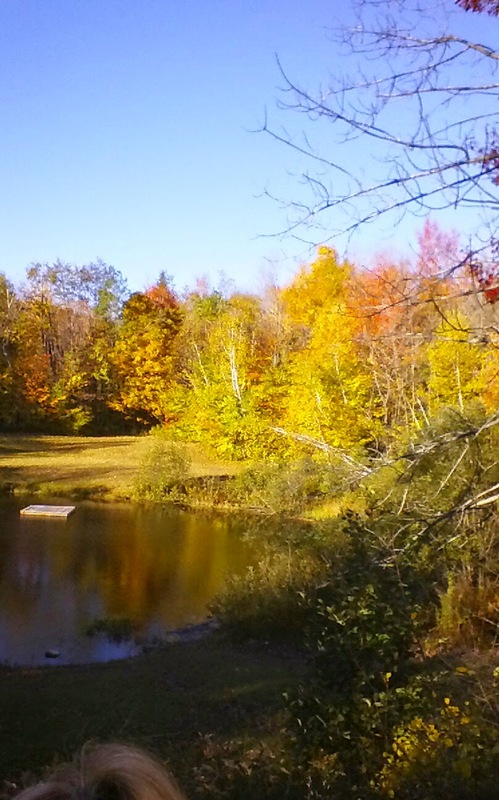 Willard from Saco River, taken 10/9/14 by Tom Elbrecht. 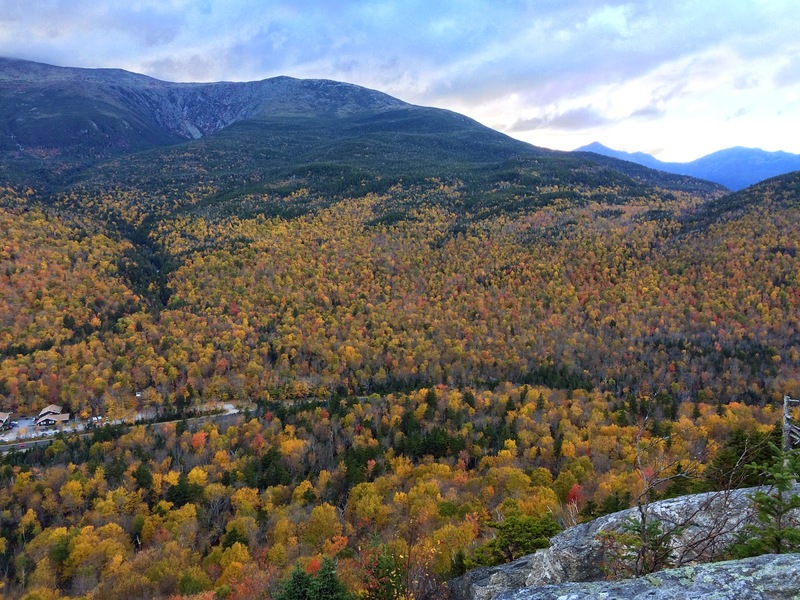 Presidential Range, taken 10/9/14 by Tom Elbrecht. Mt. 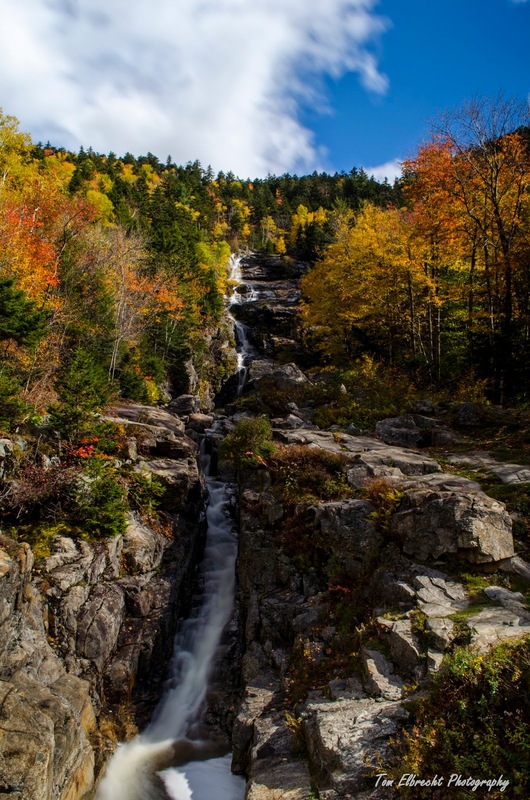 Willard face (L) and Flume Cascade (R), taken 10/9/14 by Tom Elbrecht. Lots of yellows from Square Ledge! Taken 10/8/14 be Ben Cargill. 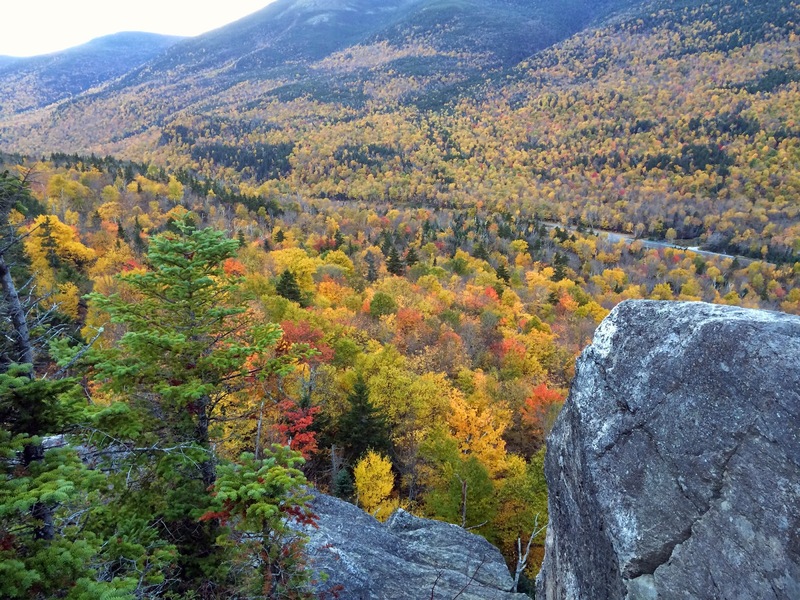 Pinkham Notch from Square Ledge, taken 10/8/14 by Ben Cargill. Yellows bursting around AMC Cardigan Lodge. Taken 10/10/14 by Natalie Milligan. Maine Woods: Baker Mountain in the distance with Elephant Mountain to the left. Taken 10/9/14 by Shannon LeRoy.